The Military Bank (MB) has announced that it will soon be meeting the central bank's requirement to bring the non-performing loans (NPLs) down to less than 3 percent. The central bank has required that all commercial banks must reduce their NPLs to less than three per cent by September 30 this year instead of the earlier deadline of 2015-end. According to the MB's latest financial report, the bank's NPLs stood at 2.04 percent by the end of June. Thanks to the success, MB has planned to ask the central bank to raise its credit growth room this year to 20 percent from 13 percent approved earlier this year, the decision coming in the context of rising demands as a result of the economic rebound. 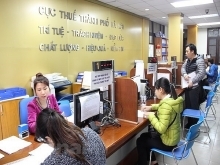 Earlier, State Bank of Viet Nam's Governor Nguyen Van Binh said the central bank's decision to extend the credit room for credit institutions would depend on the way they handle NPLs. Binh pointed out that if necessary, the central bank could raise the credit growth target for this year to 17 percent, instead of 13-15 percent set earlier this year, to boost economic growth. MB's general director Le Cong said his bank would take measures to control the NPLs to be able to reduce these further by the end of this year. 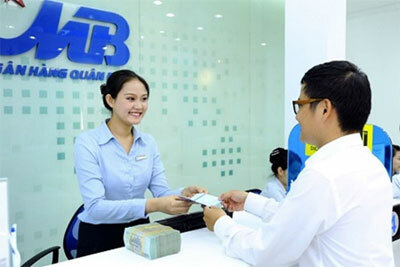 According to the MB's report, the bank's pre-tax profit in the first half of this year reached VND1.828 trillion (US$84.23 million), meeting 56 percent of its annual plan. During the period, the bank also spent VND1.187 trillion ($54.7 million) for making provision. The central bank recently also approved the MB's plan to increase its charter capital from VND11.59 trillion ($534 million) to VND16 trillion ($737 million). The capital increase plan will be implemented through separate share issuance for existing shareholders, strategic investors and employees./.